Was the Book of Mormon Used as the First Church Administrative Handbook? The Church of Jesus Christ of Latter-day Saints celebrates the anniversary of its founding on April 6. We at Book of Mormon Central want to help celebrate this occasion by highlighting the way in which the Book of Mormon played a central role in the early development of the organization of the Restored Church. One of the book’s many contributions is its divine role in guiding Joseph Smith and other early leaders of the Church in the creation of the Church’s administrative principles. From this long list and many other such instructions, it is not hard to see why one could well call the Book of Mormon a handbook of instruction for church administration. 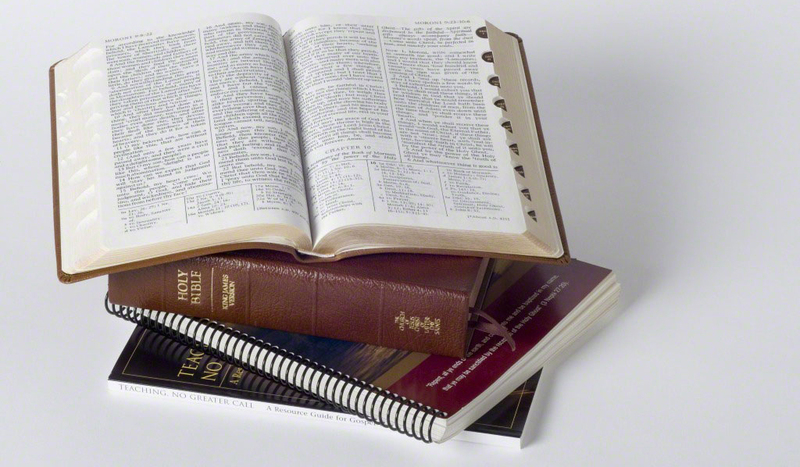 Readers of the Book of Mormon often direct their attention to its storylines, biographies, doctrines, revelations, or geographic, literary or cultural details. Many do not usually realize the great debt that the Restored Church owes to the Book of Mormon for the myriad of practical guidelines for the administration of the Lord’s church that it provided the early Saints. It is actually quite amazing that such a coherent and useful set of statements of church policies, procedures, and practices could be embedded, often inconspicuously, in texts scattered throughout the Book of Mormon. The Lord Jesus Christ established His Gospel and His Church among the Book of Mormon peoples. In fact, He told them the things that they “must do” in His church (3 Nephi 27:21). The principles that were revealed to these ancient peoples of God were recorded so that they could be of benefit to future generations as well, to those who would be tasked with restoring the revealed order of the Church of Jesus Christ. For these reasons, Joseph Smith, Oliver Cowdery, and other early Church leaders looked at the Book of Mormon as a powerful instructional resource, given by God, for how Christ’s church should be set up and how it should operate. They took the book seriously and paid close attention to its teachings. When they failed to do so consistently, the Lord reminded them to “to do according to that which I have written” in the Book of Mormon (D&C 84:57; emphasis added). For these many reasons, the Book of Mormon should be held in high esteem in all religious circles as a foundational handbook of Christian organization and ministry. John W. Welch, “The Book of Mormon as the Keystone of Church Administration,” in A Firm Foundation, David J. Whittaker and Arnold K. Garr eds. (Salt Lake City: Deseret Book, and Provo: BYU Religious Studies Center, 2011), 15-58. 1. John W. Welch, “The Book of Mormon as the Keystone of Church Administration,” Religious Educator, Vol. 12, No. 2 (2011): 85. 2. This document was first published by Scott H. Faulring, “An Examination of the 1829 ‘Articles of the Church of Christ’ in Relation to Section 20 of the Doctrine and Covenants,” BYU Studies 43, no. 4 (2004): 57–91. Two pages, in the handwriting of John Whitmer, found in Revelation Book 1 and published in Robin Scott Jensen, Robert J. Woodford, and Steven C. Harper, eds., The Revelations and Translations, vol. 1 of the Manuscript Revelation Books series of The Joseph Smith Papers (Salt Lake City: Church Historian’s Press, 2009), 23–24. 4. Based on list compiled by John W. Welch as a handout for “A Firm Foundation,” Symposium, Brigham Young University, February 26, 2010.